We are delighted to offer for sale this well presented semi-detached bungalow, which particularly benefits from an extender room double glazed conservatory, two double bedrooms, open plan sitting dining room and off street parking to the side. 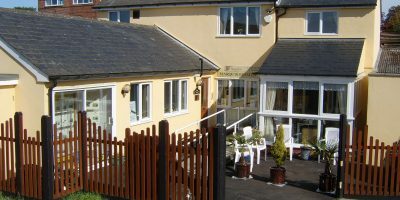 The neatly tended rear garden has a sunny aspect and is terraced to the far end with a garden shed situated to the side. Viewing is highly recommended. Steps lead up to a recently installed white composite double glazed front door. Textured ceiling, sealed unit double glazed window to the side elevation, door opens to a useful shelved store cupboard, fitted carpet and further door to sitting room. Smooth ceiling and coved cornice, smoke alarm, uPVC double glazed window to the front elevation with DOUBLE RADIATOR beneath, fitted carpet, power points, television aerial point and telephone socket. Doors open to the inner hallway and kitchen. Poly carbonate roof with uPVC double glazed floor to ceiling windows to both side and rear elevations with double doors opening to the side and four opening casements. Vinyl flooring. Textured ceiling, fitted carpet and doors to both bedrooms and bathroom. Textured ceiling, hatch to the loft space, uPVC double glazed window opens to the rear elevation overlooking the garden, SINGLE RADIATOR beneath, fitted carpet and recess to one side ideal to place wardrobes. Door opens to the airing cupboard. Textured ceiling and coved cornice, uPVC double glazed window to the front elevation with SINGLE RADIATOR beneath, fitted carpet and power points. The white suite comprises panelled bath with grab handles and mixer taps incorporating a shower attachment, tiled surround, close coupled WC with white seat and wash hand basin with chrome monobloc tap inset a white surface with cabinet beneath. Textured ceiling, frosted double glazed uPVC window to the side elevation, extractor fan, DOUBLE RADIATOR, shaver socket and fitted carpet. The front garden has been designed to be low maintenance with shrubs and stones. Beside the property a driveway provides off street parking. Wooden gate opens to the rear garden with fencing beside. The rear garden measures 30ft in width to a maximum of 24ft in depth and is mainly laid to lawn with boundaries being defined by wooden fencing with established shrubs planted in the terraced section to the far end, brick walling with wooden steps up at one side. Outside the conservatory a paved pathway leads from the side gate with shingle beside. Outside water tap and security light.